What’s In the “Natural” Flavors In Our Foods? Author SimaPublished on July 27, 2015 March 29, 2018 Leave a comment on What’s In the “Natural” Flavors In Our Foods? I've been reading and thinking about "natural flavors" ever since my earlier posts about food additives (April 20, 2015, August 19, 2014). What exactly are natural flavors and how are they different from artificial flavors? And why are they even found in organic foods? The more I read, the more I want to avoid them , but it seems to be really, really hard to do so because they seem to be everywhere, even in what we think of as basic foods (e.g., butter). Bottom line: both are chemicals concocted in labs and manufactured in factories. Read labels and try to eat as many unprocessed foods as possible to avoid them.We know very little about many of them, and if they have health effects. Note that the term "natural flavors" may include many chemicals in the "flavor mixtures" (incidental additives) that don't have to be listed on the labels. Currently there are more than 2700 natural flavors being used in the USA. The following are excerpts from articles and a book published in 2015. From CNN: What are natural flavors, really? Look at the food label of almost any packaged good you consume and odds are you'll spot the term "natural flavors." But have you ever wondered what this mysterious additive actually contains? The answer isn't as clear as you might think.Though natural flavors may sound better than their presumably chemical-laden alternative — artificial flavors — it turns out they are not actually all that different. In the Environmental Working Group's Food Scores database of over 80,000 foods, "natural flavor" is the fourth most common ingredient listed on labels. 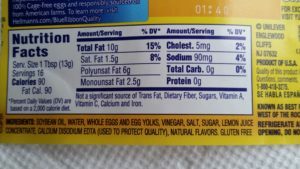 The only ingredients that outrank it: salt, water and sugar. Yet, natural flavoring isn't nearly as simple as these three pantry staples. "Natural and artificial flavors play an interesting role in food. They're essentially providing the taste and often they're added to make the food more appealing, or to potentially replace something that's lost through processing, storage or in some cases even from pasteurizing," says David Andrews, senior scientist at the Environmental Working Group. One place you'll often spot natural or artificial flavor is in orange juice; manufacturers will add faux flavor to juice after it's packaged in the plant, to ensure uniformity. "The differentiation is really down to the origin of those molecules, whether synthetically processed in a lab or purified in a lab but from a natural source," Andrews says. Here's where it gets even muddier: Added flavoring, both natural and artificial, could contain anywhere from 50 to 100 ingredients. And all of the extra ingredients in flavors often aren't as innocent as you'd hope they would be. "The mixture will often have some solvent and preservatives — and that makes up 80 to 90 percent of the volume [of the flavoring]. In the end product, it's a small amount, but it still has artificial ingredients," Andrews says. ...continue reading "What’s In the “Natural” Flavors In Our Foods?" Published on July 27, 2015 March 29, 2018 Categories healthy living, nutritionTags artificial flavors, Flavor and Extract Manufacturers Association, food additives, natural flavorsLeave a comment on What’s In the “Natural” Flavors In Our Foods? What Are Those Additives in Our food? Critics of the system say the biggest concern, however, is that companies regularly introduce new additives without ever informing the FDA. That means people are consuming foods with added flavors, preservatives and other ingredients that are not reviewed at all by regulators for immediate dangers or long-term health effects. The vast majority of food additives are safe. Some, however, have proved to cause severe allergic reactions or other long-term health effects. Scientists and advocates worry about the growing number of ingredients that the FDA doesn't know about and is not tracking. Rather than going through the painstaking FDA-led review process to ensure that their new ingredients are safe, food companies can determine on their own that substances are "generally recognized as safe." They can then ask the FDA to review their evaluation — if they wish. Or they can take their ingredients straight to market, without ever informing the agency. "FDA doesn't know what it doesn't know," said Steve Morris of the Government Accountability Office, which published a report in 2010 that found that "FDA's oversight process does not help ensure the safety of all new GRAS determinations." For a company to determine that an ingredient is "generally recognized as safe," it must establish that the additive's safety is commonly understood by qualified scientific experts. But some ingredients defy consensus, as consumers, scientific groups and sometimes even the FDA have pointed out. Even GRAS additives that have been used in food for decades are now coming under fire as their uses expand and scientific research emerges that casts doubt on their safety. This is true of one of the most known — and vilified — GRAS additives: partially hydrogenated oil, a form of trans fat. Widely used in food products including fried foods and cake mixes, trans fats have been named by public health experts as a contributor to heart disease, stroke and Type 2 diabetes. Despite strong pushback from industry, the FDA in November 2013 made a tentative determination that artificial trans fats should not have GRAS status, and the agency is likely to make that determination final this summer. But it's the ingredients the public doesn't know about that have critics of the GRAS system most worried. Researchers for the Pew Charitable Trusts and the Natural Resources Defense Council say that allowing companies to make safety determinations without telling the FDA makes it nearly impossible to identify whether there are health effects caused by long-term exposure to certain ingredients. To restore confidence, the law set up a system requiring companies to submit new ingredients to an extensive FDA safety review before going to market..."There are plenty of ingredients that are receiving GRAS status the safety of which are in dispute." In the past five decades, the number of food additives has skyrocketed — from about 800 to more than 10,000. They are added to everything from baked goods and breakfast cereals to energy bars and carbonated drinks. For the full investigation, head to the Center for Public Integrity's site. Processed foods have changed the way we eat. Food can sit longer on shelves, but what does that mean for the stomach? In a new study published in the journal Nature, researchers from Georgia State University investigated how the widely used processed food additive emulsifiers played a role in the gut. Emulsifiers are added to most processed foods in order to extend shelf life and add texture to the foods. The research team decided to feed mice a couple of the most common emulsifiers on the market — polysorbate 80 and carboxymethylcellulose — at doses comparable to a human’s consumption of processed foods. They watched the emulsifier change the mice’s gut microbiota, which is an individual’s personal 100 trillion bacteria inside the intestinal tract. Not only did this increase their chance of developing obesity-related disorders, but also inflammatory bowel disease. It’s no coincidence both conditions have been increasing since the 1950s. "The dramatic increase in these diseases has occurred despite consistent human genetics, suggesting a pivotal role for an environmental factor," the study’s coauthor Benoit Chassaing, a researcher from GSU’s Institute for Biomedical Sciences, said in a press release. "Food interacts intimately with the microbiota, so we considered what modern additions to the food supply might possibly make gut bacteria more pro-inflammatory." The emulsifiers, which are groups of oil-and water-friendly molecules, help to hold food together. Mayonnaise without emulsifiers, for example, will separate from an oily top layer to a thicker white layer that rests on the bottom of the jar. Once the emulsifiers were digested by the mice, their blood-glucose levels went awry, inflamed their intestinal mucus layer, which left them with weight gain, specifically concentrated in the abdomen. 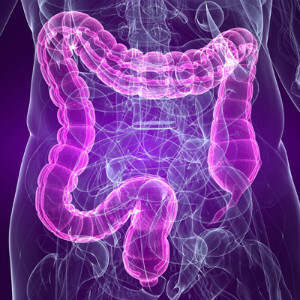 The bacterial changed triggered chronic colitis from causing intestinal inflammation and metabolic syndrome, which includes obesity, hyperglycemia, and insulin resistance. Ultimately, microbiologists say you are what you eat. If your diet is smeared with margarine, mayonnaise, creamy sauces, candy, ice cream, and most other packaged and processed baked goods, you and your gut may be at risk. "We do not disagree with the commonly held assumption that over-eating is a central cause of obesity and metabolic syndrome," the study’s coauthor Andrew T. Gewirtz, a researcher from GSU’s Institute for Biomedical Sciences, said in a press release. "Rather, our findings reinforce the concept suggested by earlier work that low-grade inflammation resulting from an altered microbiota can be an underlying cause of excess eating." How Many Food Additives Doesn’t the FDA Know About? 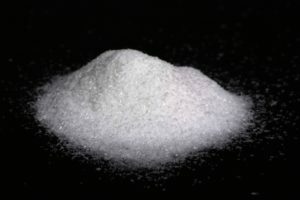 The explosion of new food additives coupled with an easing of oversight requirements is allowing manufacturers to avoid the scrutiny of the Food and Drug Administration, which is responsible for ensuring the safety of chemicals streaming into the food supply. And in hundreds of cases, the FDA doesn’t even know of the existence of new additives, which can include chemical preservatives, flavorings and thickening agents, records and interviews show. “We simply do not have the information to vouch for the safety of many of these chemicals,” said Michael Taylor, the FDA’s deputy commissioner for food. At a pace far faster than in previous years, companies are adding secret ingredients to everything from energy drinks to granola bars. But the more widespread concern among food-safety advocates and some federal regulators is the quickening trend of companies opting for an expedited certification process to a degree never intended when it was established 17 years ago to, in part, help businesses. In the five decades since Congress gave the FDA responsibility for ensuring the safety of additives in the food supply, the number has spiked from 800 to more than 9,000, ranging from common substances such as salt to new green-tea extracts. This increase has been driven largely by demand from busy Americans, who get more than half their daily meals from processed foods, according to government and industry records. Within the past six months, top officials at the FDA and in the food industry have acknowledged that new steps must be taken to better account for the additives proliferating in the food supply. For new, novel ingredients — or when approved additives are used in new ways — the law says companies should seek formal FDA approval, which must be based on rigorous research proving the additive is safe. The agency uses the phrase “food additive,” in a narrow legal sense, to apply to substances that get this approval. But many other additives are common food ingredients — vinegar is considered a classic example. The law allows manufacturers to certify, based on research, that such ingredients are already Generally Recognized as Safe, or GRAS. For both types of additives, FDA scientists initially conducted detailed reviews of the company’s research. The agency also published its own evaluation of that research in the Federal Register. This oversight system shifted dramatically in 1997. In response to a shortage of staff members and complaints from industry that the process was too cumbersome and did not improve food safety, the FDA proposed new rules. The agency told companies that were going the GRAS route — which turned a years-long process into one of months — that they no longer would have to submit their research and raw data. The companies can share just a summary of their findings with the agency. The changes didn’t work out as planned. For starters, most additives continued to debut without the FDA being notified. Moreover, companies that did choose to go through the FDA oversight process largely abandoned the formal approval route, opting instead for the new, cursory GRAS process, even for additives that could be considered new and novel, according to agency documents and an analysis of those records by the Natural Resources Defense Council. An average of only two additive petitions seeking formal approval are filed annually by food and chemical companies, while the agency receives dozens of GRAS notifications, according to an NRDC analysis of FDA data. Hundreds of other food chemicals and ingredients have been introduced without notifying the FDA at all, according to agency officials, trade journals and food safety groups. Companies often bypass the FDA altogether. Under the rules, companies may make their own GRAS determination. Sharing it with the agency and getting it to sign off is voluntary. This is the opposite of what the overisght law intended, the FDA’s Taylor said. During the initial review, the FDA sets limits for how much of a chemical or ingredient can be used in a particular product. But the cumulative consumption can soar as the additive is used in more and more types of food and beverages. Men who regularly eat moderate amounts of processed red meat such as cold cuts (ham/salami) and sausage may have an increased risk of heart failure incidence and a greater risk of death from heart failure. Processed meats are preserved by smoking, curing, salting or adding preservatives. Examples include cold cuts (ham, salami), sausage, bacon and hot dogs. "Processed red meat commonly contains sodium, nitrates, phosphates and other food additives, and smoked and grilled meats also contain polycyclic aromatic hydrocarbons, all of which may contribute to the increased heart failure risk," said Alicja Wolk, D.M.Sc., senior author of the study and professor in the Division of Nutritional Epidemiology at the Institute of Environmental Medicine, Karolinska Institutet in Stockholm, Sweden. "Unprocessed meat is free from food additives and usually has a lower amount of sodium." The Cohort of Swedish Men study -- the first to examine the effects of processed red meat separately from unprocessed red meat -- included 37,035 men 45-79 years old with no history of heart failure, ischemic heart disease or cancer. After almost 12 years of follow-up, researchers found: - Men who ate the most processed red meat had more than a 2-fold increased risk of death from heart failure compared to men in the lowest category. - For each 50 gram (e.g. 1-2 slices of ham) increase in daily consumption of processed meat, the risk of heart failure incidence increased by 8 percent and the risk of death from heart failure by 38 percent. - The risk of heart failure or death among those who ate unprocessed red meat didn't increase. "To reduce your risk of heart failure and other cardiovascular diseases, we suggest avoiding processed red meat in your diet, and limiting the amount of unprocessed red meat to one to two servings per week or less," said Joanna Kaluza, Ph.D., study lead author and assistant professor in the Department of Human Nutrition at Warsaw University of Life Sciences in Poland. "Instead, eat a diet rich in fruit, vegetables, whole grain products, nuts and increase your servings of fish." Some Chemicals Banned in Europe, But Not in U.S.
Atrazine, which the U.S. Environmental Protection Agency says is estimated to be the most heavily used herbicide in the U.S., was banned in Europe in 2003 due to concerns about its ubiquity as a water pollutant. These are but a few examples of chemical products allowed to be used in the U.S. in ways other countries have decided present unacceptable risks of harm to the environment or human health. How did this happen? Are American products less safe than others? Are Americans more at risk of exposure to hazardous chemicals than, say, Europeans? Not surprisingly, the answers are complex and the bottom line, far from clear-cut. One thing that is evident, however, is that “the policy approach in the U.S. and Europe is dramatically different." A key element of the European Union’s chemicals management and environmental protection policies — and one that clearly distinguishes the EU’s approach from that of the U.S. federal government — is what’s called the precautionary principle. This principle, in the words of the European Commission, “aims at ensuring a higher level of environmental protection through preventative” decision-making. In other words, it says that when there is substantial, credible evidence of danger to human or environmental health, protective action should be taken despite continuing scientific uncertainty. While FDA approval is required for food additives, the agency relies on studies performed by the companies seeking approval of chemicals they manufacture or want to use in making determinations about food additive safety. Natural Resources Defense Council senior scientist Maricel Maffini and NRDC senior attorney Tom Neltner “No other developed country that we know of has a similar system in which companies can decide the safety of chemicals put directly into food,” says Maffini. The two point to a number of food additives allowed in the U.S. that other countries have deemed unsafe. Reliance on voluntary measures is a hallmark of the U.S. approach to chemical regulation. In many cases, when it comes to eliminating toxic chemicals from U.S. consumer products, manufacturers’ and retailers’ own policies — often driven by consumer demand or by regulations outside the U.S. or at the state and local level — are moving faster than U.S. federal policy. For the FDA to restrict a product or chemical ingredient from cosmetics or personal care products involves a typically long and drawn-out process. What it does more often is to issue advisories. At the same time, built into the U.S. chemical regulatory system is a large deference to industry. Central to current U.S. policy are cost-benefit analyses with very high bars for proof of harm rather than a proof of safety for entry onto the market. Voluntary measures have moved many unsafe chemical products off store shelves and out of use, but our requirements for proof of harm and the American historical political aversion to precaution mean we often wait far longer than other countries to act.